Hospitality and Culinary Arts Rep.
Preparatory and Liberal Studies Rep.
First Nations, Métis and Inuit Students’ Rep. 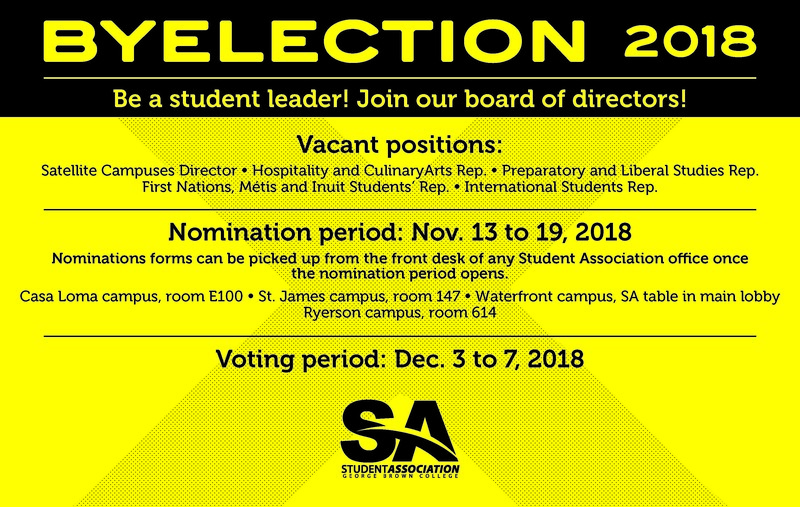 Nominations forms can be picked up from the front desk of any Student Association office once the nomination period opens. Woman & Trans* People Rep.
Starts on Monday, Sept. 26, 2016 at 10 a.m.
Ends on Wednesday, Oct. 5, 2016 at 4 p.m. 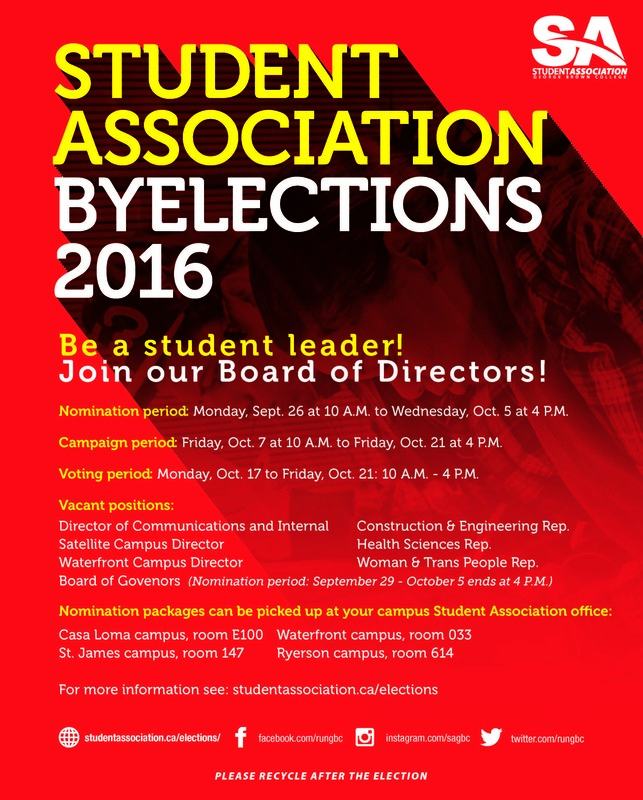 Nomination packages can be picked up at your campus Student Association office.